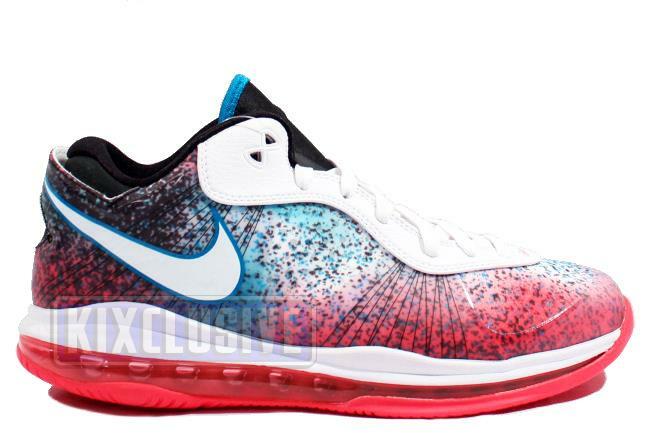 Info: The Lebron 8 'Miami Nights' capture the aura and magic that can only be found on the shores of South Beach. This pair features a combination of aqua, red and black throughout the entire upper with speckles of black and aqua sprinkled throughout the base. Hits of white can also be seen on the tongue, Swoosh and midsole, while red is wrapped around the 360 Degree Air Unit and outsole. September 2011 super limited release.